Pullmantur Cruceros has launched its winter program from Dubai, sailing its first cruise aboard the Horizon this week. To mark the occasion, 50 local officials and dignitaries participated in a plaque exchange event with executives from Pullmantur and ship’s officers, including Captain Charilaos Petrides. “Dubai and Legends of Arabia” is part of Pullmantur’s exclusive destinations program. 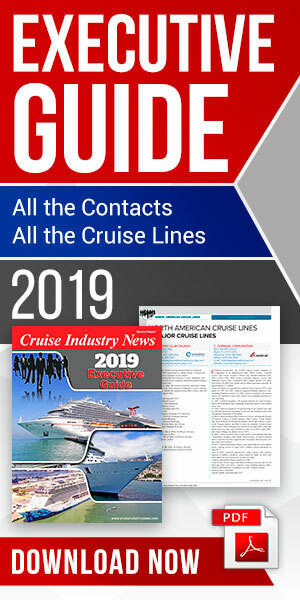 According to the cruise line, this sub-brand includes itineraries designed for passengers to experience holidays both on land and onboard, with the option of excursions and onboard themed activities, reflecting the itinerary. Sailing seven-day cruises roundtrip from Dubai through March 3, port of calls include Khasab (Oman), Muscat (Oman), Fujairah (UAE) and Abu Dhabi (UAE).